Canadian existing home sales reached a record level in October, data published Tuesday shows, but the market faces an increasing threat from tighter mortgage rules, which have helped send interest rates higher. 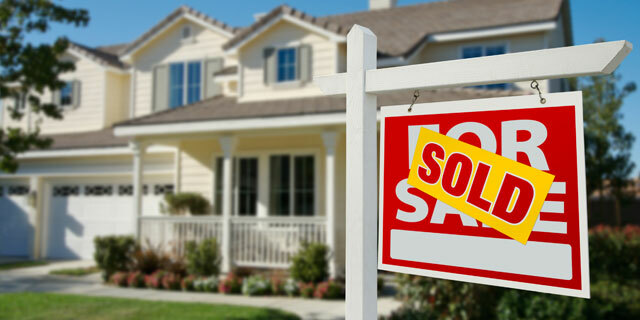 The Ottawa-based Canadian Real Estate Association, which represents about 100 boards across the country, said there were 42,473 sales last month across the country, a two per cent increase from a year earlier and the best-ever showing for the month. October’s sales pace came despite a change in mortgage rules that made it tougher to borrow by requiring, among other things, consumers to qualify based on the posted rate of a five-year fixed rated mortgage. Now set at 4.64 per cent, the rate is significantly higher than what is on consumer contracts and potentially means consumers will only be available to afford smaller loans. “The expanded stress-test for homebuyers who need mortgage default insurance took effect in the middle of October,” noted Cliff Iverson, president of CREA, referring to the changes, which affect all loans backed by the federal government. The government in the country’s most populous province jumped into the fray Monday with a policy change aimed at what is seen as the most vulnerable part of the housing market. Ontario doubled the tax rebate on land property transfers from $2,000 to $4,000 for first-time buyers, while hiking rates on homes that sell for more than $2 million. Gregory Klump, chief economist for CREA, said the early evidence suggests the impact of tighter mortgage regulations on sales activity has been mixed. “The federal government will no doubt want to monitor the effect of new mortgage regulations on the many varied housing markets across Canada and on the economy, particularly given the recent rise in uncertainty about economic growth prospects following the U.S. presidential election,” Klump said. Already there are signs that political uncertainty, along with tighter rules, are sending rates higher. Earlier this month Toronto-Dominion Bank raised its prime rate for variable-rate mortgage customers from 2.7 per cent to 2.85 per cent. Royal Bank of Canada upped its special discounted rate on Tuesday for fixed-rate products for terms of three, four and five years. The fixed rate for three years rises from 2.69 per cent to 2.79 per cent, four years goes from 2.79 per cent to 2.89 per cent and five years rises from 2.94 per cent to 3.04 per cent. “We consider a number of factors when making changes to mortgage rates, including our funding costs and market conditions. Based on current conditions, our rates reflect the right balance between our clients’ expectations and our costs of funding mortgages,” said Mary Ellen Brown, senior vice-president of home equity financing for RBC. Prices continue to remain firm. CREA said its aggregate composite index rose 14.6 per cent in October 2016 from a year ago, which compares with a year-over-year increase of 14.4 per cent in September. The actual (not seasonally adjusted) national average price for homes sold in October 2016 was up 5.9 per cent from a year ago to $481,994 — a number increasingly less affected by a slowing Vancouver market. The Teranet–National Bank National composite house price index, also out Tuesday, was up 0.3 per cent in October from September but prices were at a record level last month in only four of the 11 metropolitan regions covered: Toronto, Victoria, Hamilton and Winnipeg. “The pickup in housing demand across most housing markets in Canada (except for Vancouver) is largely consistent with lower interest rates and potentially a near-term boost in demand as homebuyers try to get into the market before being subject to new mortgage regulations,” said Diana Petramala, an economist with TD Bank, who expects prices to fall by two per cent in 2017.